News that militants in Iraq, now OPEC's second largest producer, had attacked the country's largest oil refinery fuelled concerns that there will be serious supply disruptions. On top of that, US oil inventories dropped last week, which should provide continued support to crude prices. 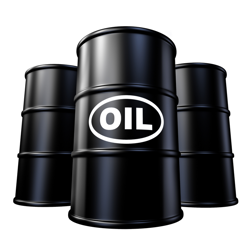 As a result, the WTI crude futures market moved $0.34 higher to $106.07 per barrel. The super dovish views expressed by the Federal Reserve did not seem to line up with recent signs of US economic strength. In addition, the promise to keep rates on hold boosted demand for gold, which enjoyed a sharp rally yesterday, surging $42.5 to finish at $1,320. The conflict in Iraq has also revived CFD traders' interest in the yellow metal as a hedge against times of turmoil. Nymex crude fell by $0.38 yesterday to $105.73 per barrel as the Fed's dovish stance encouraged investors to move into equities. However, reports of shrinking US oil supplies and escalating sectarian violence in Iraq pushed the market price back up. In particular, news that oil companies have started to remove employees from Iraq might indicate a belief in the possibility of full blown conflict and external military intervention. Demand for gold as an alternative asset was revived by the Fed's statement yesterday, as they suggested that interest rates will remain on hold. The news pushed the precious metal $5.7 higher to $1,277.6. Having said that, whilst the spread trading charts have seen a bullish shift in the short-term trend, the medium-term outlook is still firmly bearish. With violence engulfing northern Iraq, the southern terminals are about to increase oil production, which means that the main part of the country which is supplying crude is under government control. As such energy investors felt a bit reassured that while the situation remains tense it pays to reassess whether the recent rally is still game on. As a result, US crude lost $0.18 to $105.93. The Federal Reserve looks set to further curb monetary stimulus at today's meeting, thus hurting demand for gold as a wealth preserving asset. That sent the precious metal lower initially but a rally in the afternoon pushed it back up to $1,271.7, rather unchanged for the day. As rebel fighters made gains in Iraq last week, crude oil posted a sharp rally on supply disruption concerns. Despite this, Friday saw more of a 'book some of the profits' game which held crude prices in check, meaning that WTI closed the week at $106.80. However, amid reports that army troops have killed more than 270 rebels, Brent futures have jumped $0.70 this morning and WTI is following suit, up $0.57 to $107.27. For many investors, there is a question over whether the crude oil markets will get back to the 9 month highs reached last week. Escalating tensions between Russia and Ukraine enticed investors back into the gold market last week as we saw fresh demand for safe haven assets. In addition, Iraq has been hit by further turmoil just when many were hoping for better days ahead. That pushed gold $3.5 higher on Friday and the metal has continued its gains in overnight trading, signalling fears that the situation could get even more serious.